does anybody know what's going on? i understand your point but -possibly- hundreds of images in this forum will be invisible this way. I've no real problem with the mail address itself. Everybody can grab it from this site too. I just don't like ImageShack's idea of offering a free service to people and then forcing third parties, i.e. 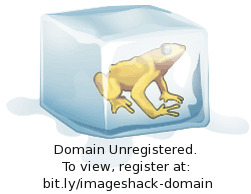 the webmasters of sites whose users' use ImageShack, to register at ImageShack. Anyway, i did now. No idea how long it will take to be processed. yes it does. i started to work after two days or so.